Nanagram sends physical copies of texted pictures to your grandparents. There can be a bit of a generational disconnect between younger family members and grandparents who aren’t, like the rest of their family, constantly online. Even if the rest of the family is able to stay in near-constant communication, the elderly or more technologically uneducated members of the family tend to get left behind. Nanagram is a solution to this problem. The company lets you text photos to a certain number. Then, it collects the pictures that have been sent, prints them in 4×6 photographs, and sends the batch of pictures to your grandparents (or to whomever you chose to send them). Nanagram has several different pricing plans, starting at 7.99/month. That plan lets you send ten photographs each month. 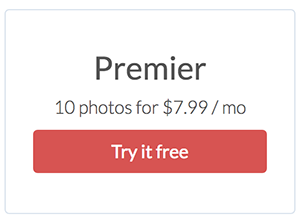 The highest tier, at $34.99/month, lets you send 100 photos each billing cycle. The company has a heartwarming backstory: Alex and Andy Cook built the platform as a way to stay in touch with their grandparents after they both turned 94. Their grandparents refused to use smartphones and other new technology, and they unplugged all their digital photo frames to save electricity. 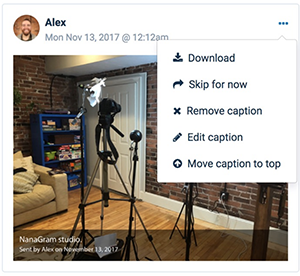 Nanagram gives them a simple way to connect with their grandparents — all they have to do is text images to a certain number like they likely do all day anyway — but offers a unique, tangible format that the older generation appreciates. 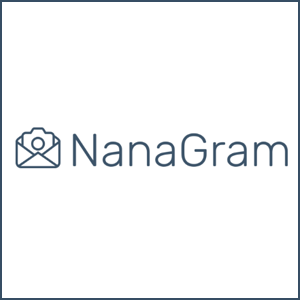 If your family is set up similarly, consider giving Nanagram a shot.